Joan Verhoef – Wales, age 82, died peacefully on Friday, June 8, 2018. She was born in Mason City, Iowa to Jack L. Hansen and Della L. Bickford on April 19, 1936. 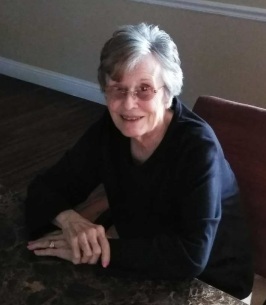 Joan was a loving sister, mother, grandmother and great grandmother who will be remembered for her big heart and her enjoyment of working in the garden and shopping. She is preceded in death by both her parents, husband Jim Wales, son Michael Verhoef and brother Jimmy Bickford. Left to cherish her memory are her sisters Debbie Mulder and Merry Hays; daughter Beverly Anderson; 3 grandchildren; 1 great grandchild along with numerous extended family and friends. A memorial service will be held 10:00 am, Saturday, June 6, 2018 at Brown’s Memorial Funeral Home, 707 N. MacArthur Blvd. in Irving. To send flowers to the family of Joan Verhoef - Wales (Hansen), please visit our Heartfelt Sympathies Store.